The light resistance tubes are a top workout product for people of all abilities and fitness levels and they are designed to get you working, toning and building up stamina in both the upper and lower body. Try out squats, leg extensions and curls, abductors and loads more drills using your arms, legs and core muscles. 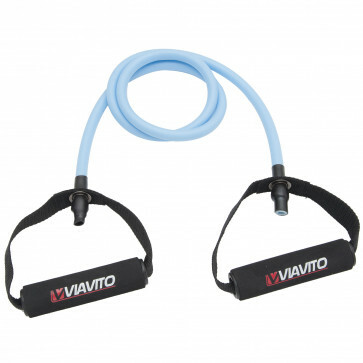 If you want to start working out again, improve your fitness, rehab from an injury or take your sessions up a level, a resistance tube is a top choice for both home and gym workouts, and the light version offers a lower amount of resistance. Grip the handles solidly and comfortably thanks to the soft foam and store and transport them easily thanks to their compact design.